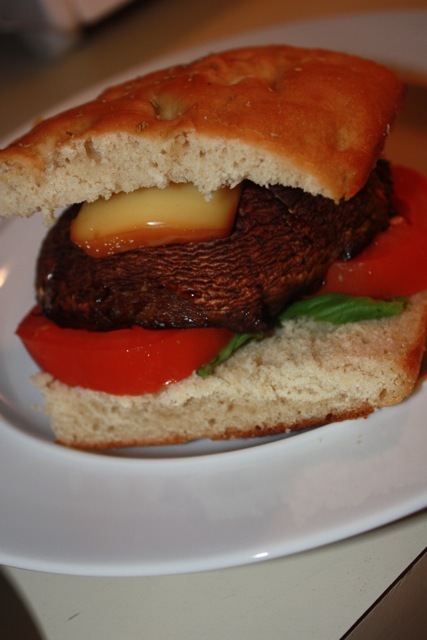 These Portabella and Halloumi “Burgers” looked really good, but I wasn’t able to find Halloumi cheese, which is apparently a cheese that can be grilled on its own…Plus I had a craving for some focaccia. 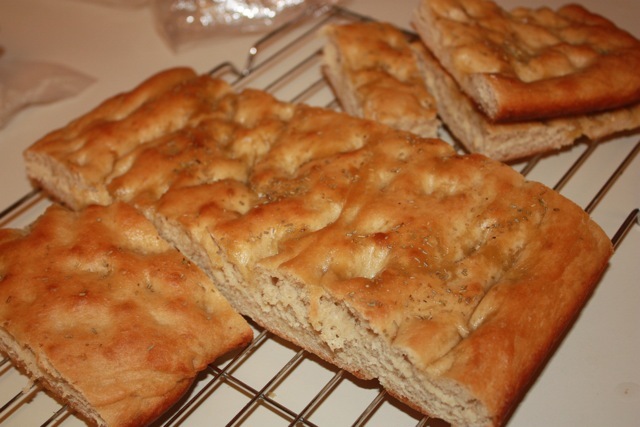 I made the focaccia recipe many years ago when it came out in Fine Cooking, and it is really good…though I had forgotten how long it takes. 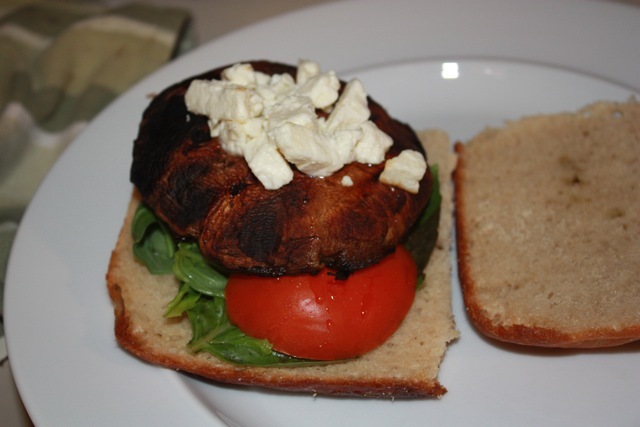 I was able to squeeze it into a day in the fridge, and one evening after work letting it warm up, rest a bit and cook, but it probably could have used more time to rest (the recipe calls for about 5hrs between taking it out of the fridge and cooking it!). But, it was still really good.